If you are a foreign citizen hunting for job in Azerbaijan, it is difficult to know where to start your job search, especially if you don’t have a work visa or you are restricted to English-speaking jobs in Azerbaijan. This guide briefs you on the important aspects of preparing your to move to Azerbaijan and get a job in this country. You will get important information about favorite destinations for foreign workers in Azerbaijan, jobs for foreigners and visa requirements. Almost half of labor force in Azerbaijan works in services, about 12% in industry and 38% in agriculture and forestry. Foreigners in Azerbaijan often seek for engineering jobs, healthcare jobs, teaching jobs, construction jobs, IT jobs, transportation jobs, jobs in oil and natural gas industry, because those are the most perspective sectors and have an increasing demand for new employees. 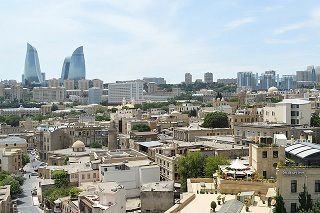 Foreign workers usually work in workplaces like factories, oil companies, schools, hospitals, construction sites and modern offices in urban cities of Azerbaijan. Before you begin job search it is recommended to define your priorities such as the location of the company, desired salary range, benefits selection, would you prefer to work in a large company or small business, etc. It is also very important to define are you looking for a company where the official language is English or Azerbaijani. Then you can start job searching! Support worker in Azerbaijan – it’s one of the lowest paid jobs in Azerbaijan, but many foreigners are interested in this job, because it doesn’t require certain professional skills from employees. Truck driver in Azerbaijan – Companies related to oil transport prefer to hire foreign truck drivers for international transport. 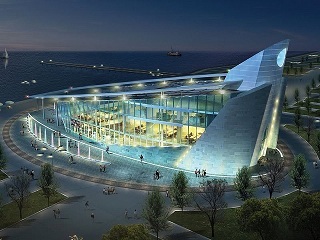 There are some companies in Azerbaijan that hire employees directly to work from their homes. Some foreign employees (i.e. secretary, translator, transcriptionist or office assistant) started out working in an office in Azerbaijan, but, were able to arrange with their employer to work all of time at home. After that they were able to left Azerbaijan, come back in their native country, but still keep a job. Azerbaijan is a country in Western Asia, located in the South Caucasus region at the crossroads of Eastern Europe and Western Asia. Azerbaijan shares land borders with Russia, Georgia, Armenia and Iran. Part of Azerbaijan is the exclave of Nakhchivan which shares land borders with Armenia, Iran and Turkey. With a total area of 86.600 km2 (33.400 sq mi) and a population of nearly 10 million, it is a small country, but very rich in oil and natural gas. The official currency in Azerbaijan is Manat and all wages and salaries are paid in local currency. 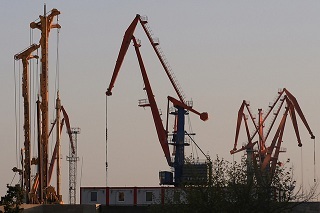 The main industries in Azerbaijan are: oil and natural gas industry, petroleum industry, oil field equipment industry, production of steel, iron, chemicals and cement and food industry. Because of its fast developing economy, there’s a constant shortage of skilled workers in certain professions in Azerbaijan, including engineers (construction, mechanical and electrical), manufacturing workers, support workers, IT specialists, project managers and others. Before you start your job searching, you have to figure out what position you want do you have required skills and education for that position. If your profession and desired position fit one of them start your job search for a job in Azerbaijan immediately. There are many job opportunities for foreign citizens to be employed in Azerbaijan. Depending on career goals, some people want to move to Azerbaijan for employment on a permanent basis, while others come for a short period of time to seek for seasonal and temporary jobs, like babysitters, waiters, fruit pickers, cleaners, maids etc. Sometimes you can secure employment as an foreigner with the assistance of an intermediary organization for a modest charge. Job searching, especially for foreign job seekers, is a very tiring process. If you're looking for a job in foreign country, you should be spending full-time hours just for seeking employment. The best resorces for foreign job seekers are employment agencies and recruitment companies in Azerbaijan and online resorces like job search engines, job portals specialized for job vacancies in Azerbaijan and some international employment-related search engines for job listings. Online resources (job search engines, portals and classfields) are main source for those seeking for a job but still not in Azerbaijan. Some of the notable employers in Azerbaijan are: AF Holding, AZ Petrol, Socar, Topaz, Unibank, Ganja Auto Plant, Bank Respublika, Gazelli Group, Bakcell, AzSamand, Bahra Biscuit Factory, Baku Caro Terminal and Azersun Holding. Favorite destinations for foreign workers in Azerbaijan beside capital Baku are: Ganja, Sumqayit, Sirvan and Lankaran. The work week in Azerbaijan is Monday to Friday, with the weekend falling on Saturday and Sunday. Some retail stores are opened during weekend for a few hours. Foreigners intending to find a paid job in in the Republic of Azerbaijan must obtain valid work visa. Migration Code of the Republic of Azerbaijan allows foreigners period of stay in the country with work visa up to 90 days. Those foreign workers who work permanently in Azerbaijan have to renew work visa every three months. Azerbaijan has one of the most transparent way to get visa. Work visa and work permission for employee is usually arranged through an employer.